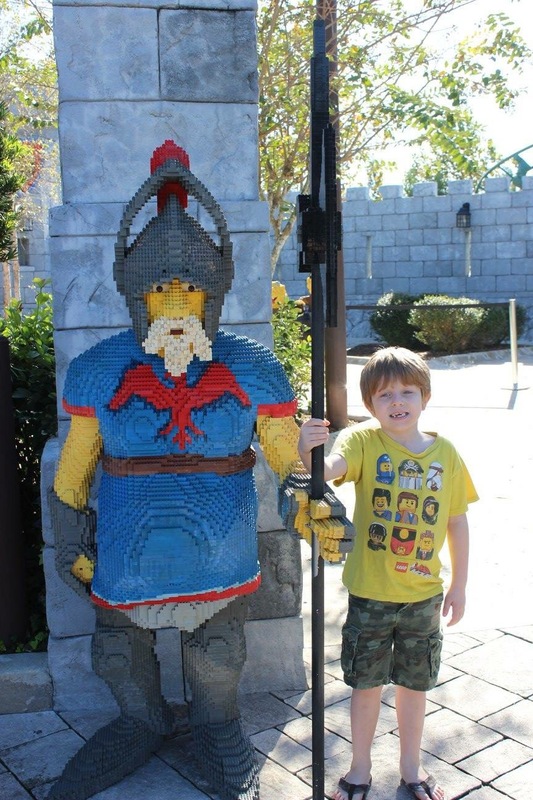 The day we spent in Legoland was better than I expected. I honestly went into the day not quite sure what to anticipate. I knew that this was not going to be like a Disney Park, as far as all of us being able to ride everything. We figured that this day would most likely be the kids riding the rides while the parents did a lot of sitting around waiting on them. I was also worried about if this park would entertain my almost twelve year old or if she was beyond that target age. The park map can be a little misleading. Looking at the map you can see that this park has about a dozen “different lands”, but some of the areas only have one or two attractions in them. You can make your way through some of the lands fairly quickly. Other areas are going to take much more of your time. We were in the park one entire day from open to close and we did not do everything. One of the theatres was closed….we did not see any of the shows….and we never ventured into the botanical garden section. 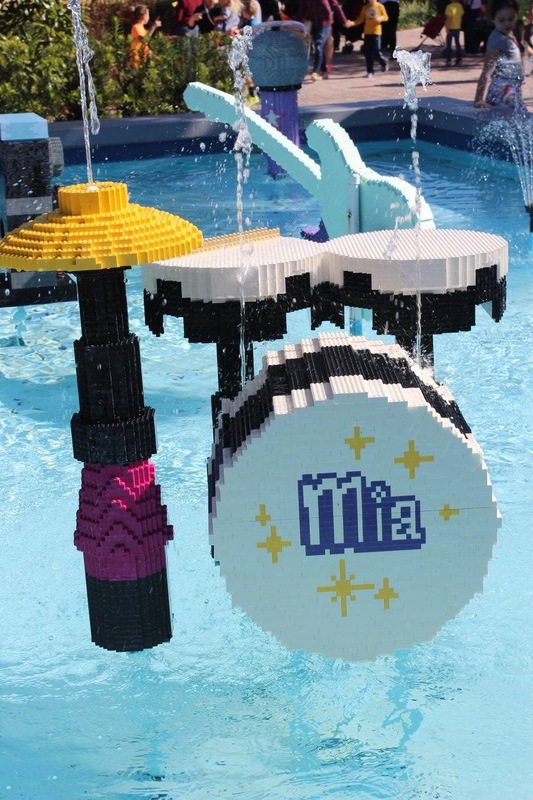 There are roller coasters, water rides, a carousel, and all other types of amusement park rides & games. I thought that since we were going in mid-January that I would not really need to worry about the tips online of going straight to this ride or that ride because it has the longest line. We should have listened. 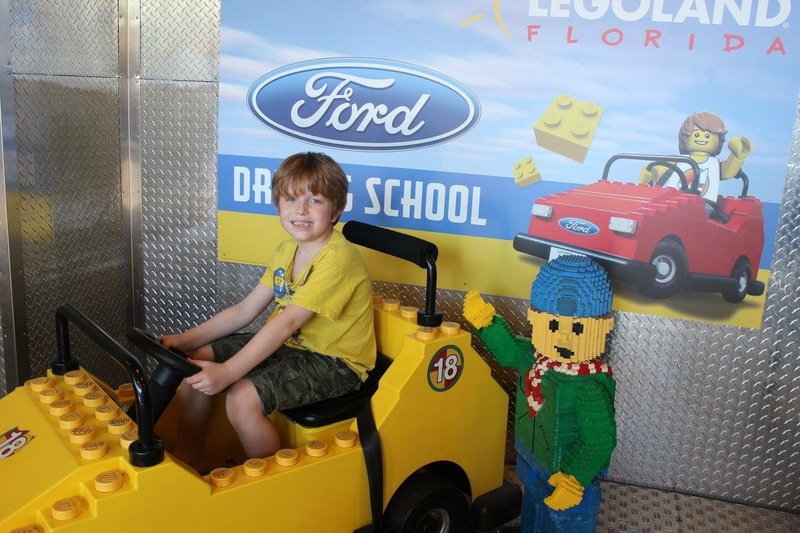 The driving school was the attraction that we were most disappointed in. We waited in line for almost an hour in a cramped room. When it was their turn to ride, they had less than 5 minutes on the track. It seemed to be closer to 3 minutes or so. The concept of the ride was great. 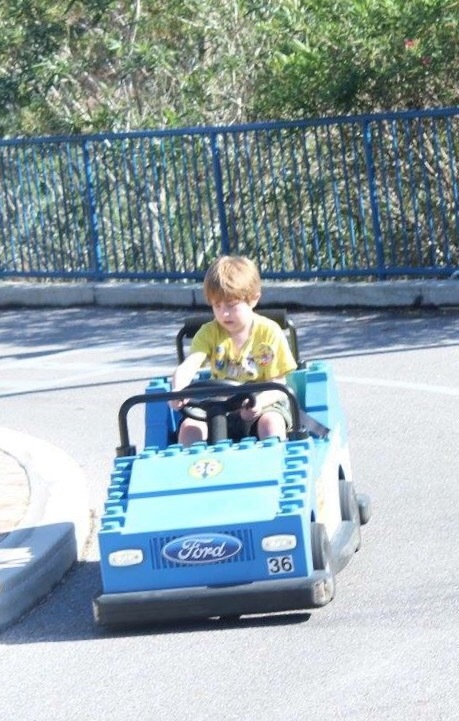 It taught them to obey traffic rules and signs. The next time we go to this park, I would simply head to this ride first. Now that our one disappointment is out of the way, let’s get on to the fun stuff. 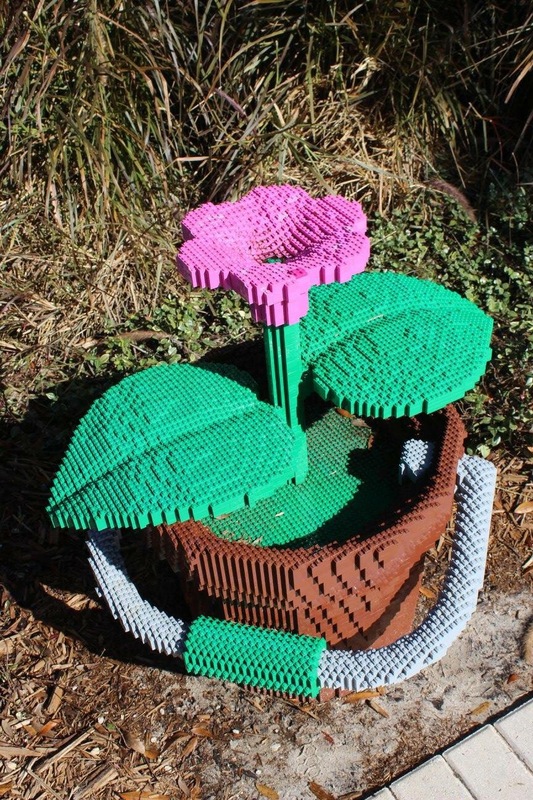 Everything in the park is literally made out of Legos. EVERYTHING…. 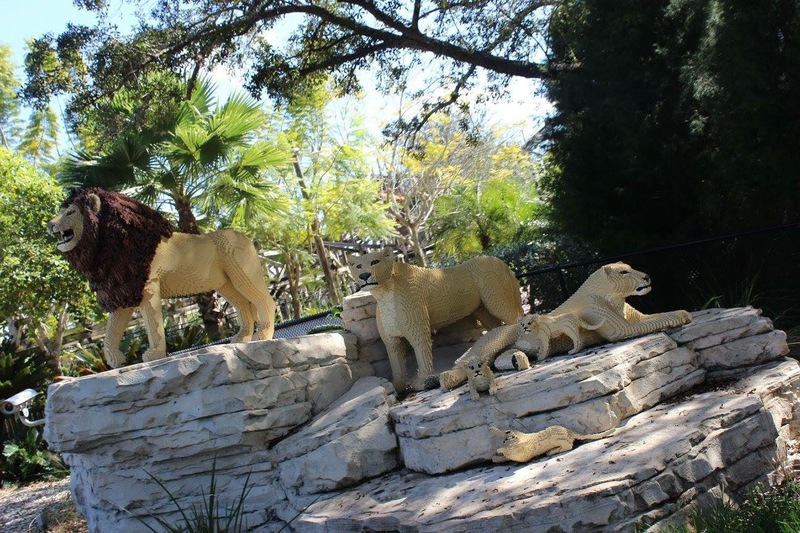 And even the animals that are in the safari ride are all Legos! 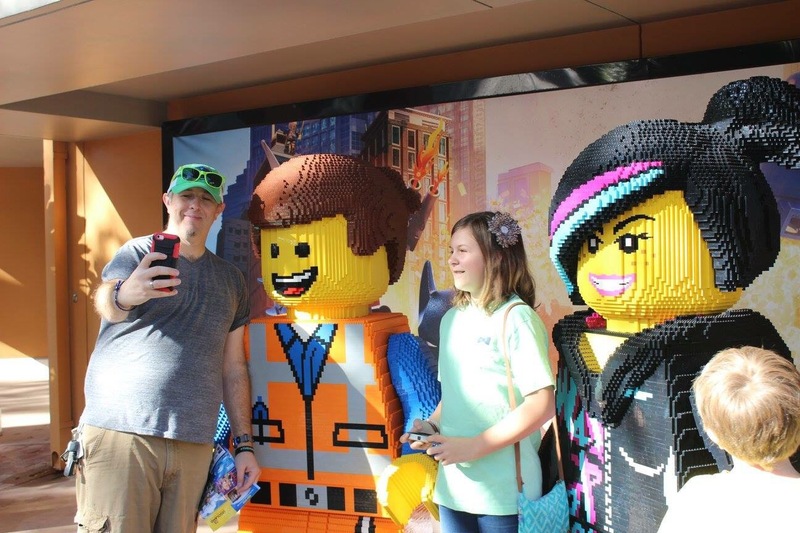 Of course everyone was thrilled with meeting Emmet and Wildstyle from the Lego movie. 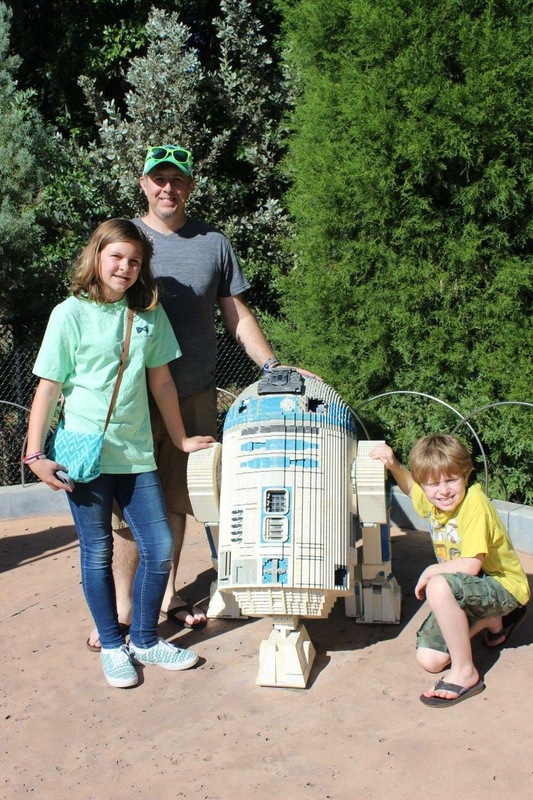 We took selfies with their figures, but then also met the live characters for pictures. Trading the mini figures with park employees (or model citizens as they are called) is a really big deal. I had read before we came that this happened in the park, but did not think that my kids would be interested. I was wrong. All of the model citizens had mini figures attached to their nametags and you can trade with any of them. The only requirement is that your figure has a head, torso, and legs. One piece of info that we discovered a few trades in is that you do no have to trade their accessories as well. 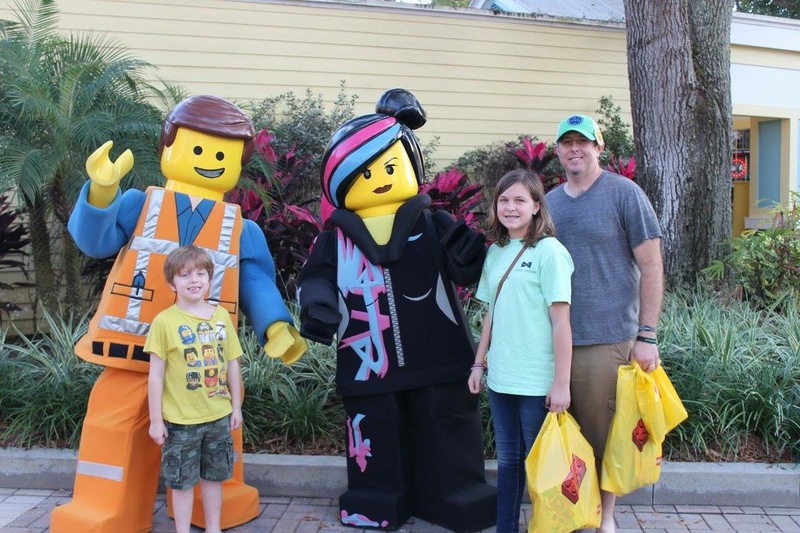 We bought our kids each one mini figure when they were on their first ride for the sole purpose of trading. Gary’s pack was a farmer and it came with a little pig. When he made his first trade, I made him give all of the parts that came with it. The employee did not correct me. It wasn’t until a few trades later that we were told that we could keep the accessories. The also have a few little trading post stands throughout the park. We saw children walking around with ziploc bags full of minis. They were almost making a day of just the trading. 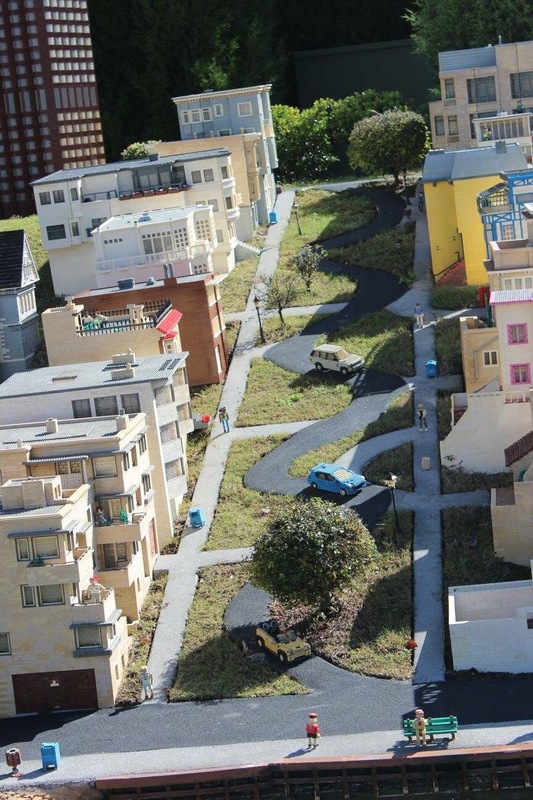 I think the most impressive part of the park was the minitown. This area can take up quite a bit of your time as well. 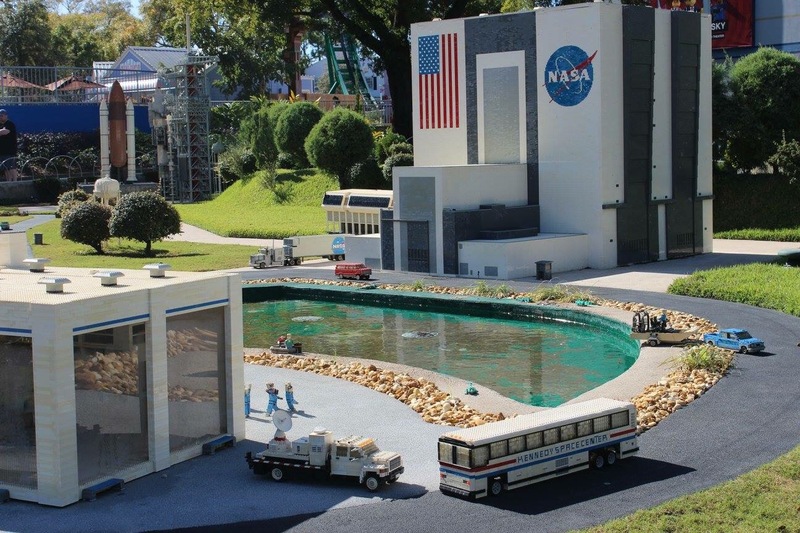 All lego enthusiasts are going to want to study each and every display and push every button. They have a large section that represents all of the different areas of Florida. 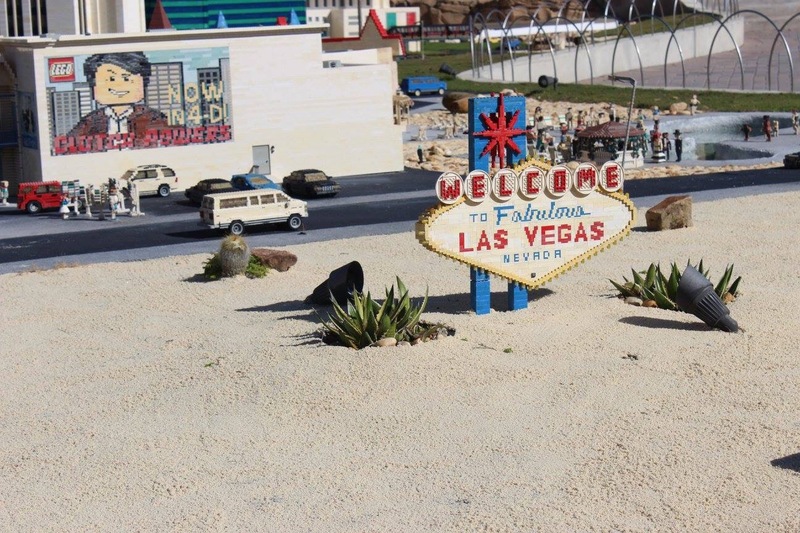 They also have areas for other famous landmarks and cities. They also had an entire section devoted to Star Wars. They had a few large figures to take pictures with. They also had scenes set up from each movie. These were very detailed and all had some sort of talking, moving, and/or special effect with it. We had a great day and the kids loved it. This is a place that we would definitely come back too. 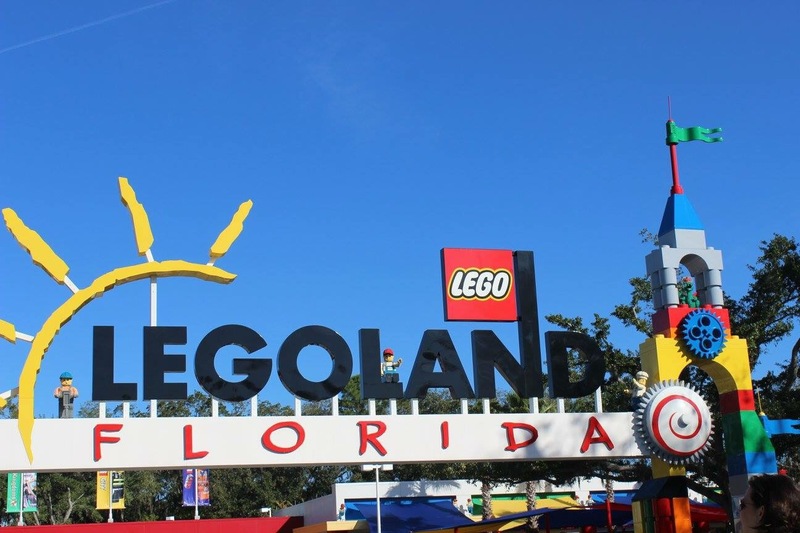 If you are making this a part of your long Florida vacation, go to this park first. 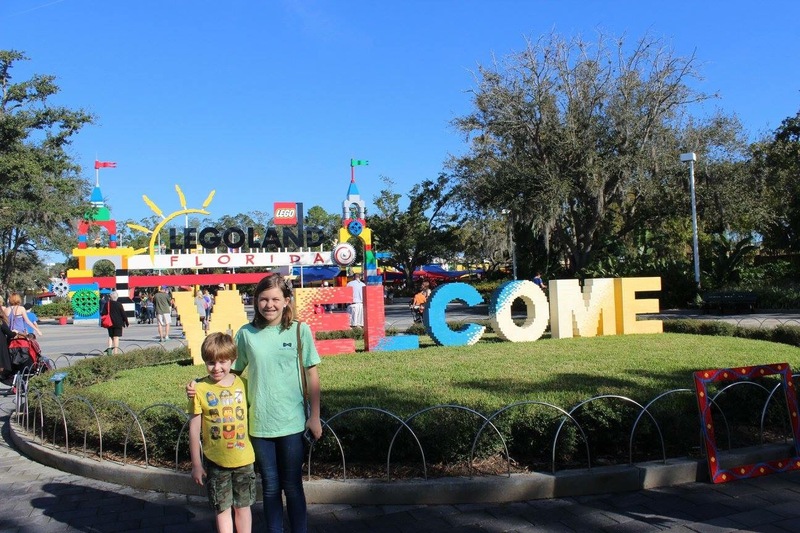 If you spend all week in Disney or universal, then this park will more than likely disappoint (just due to comparison). Also, this park offers a great discount for homeschooling families. If you want to find out more about that, just go to their website and email customer service. I wish that we would have known about this discount prior to our visit. 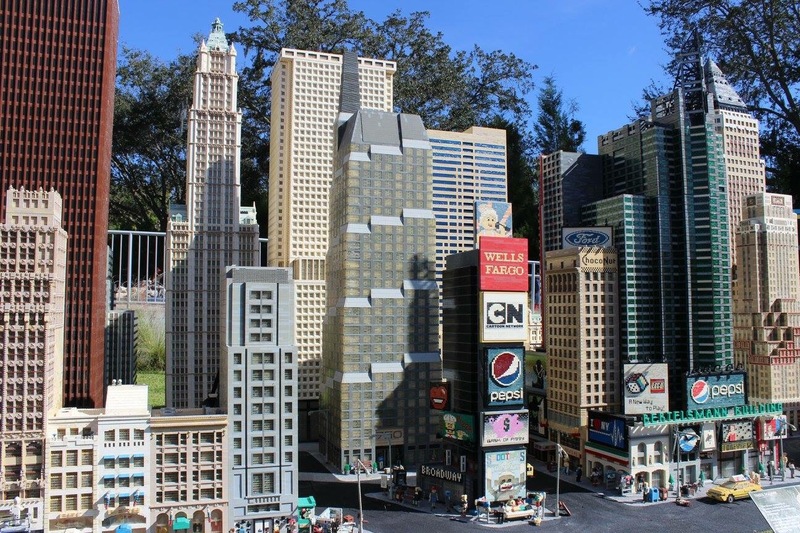 If you have Lego fans in your family, this park is definitely worth going to! 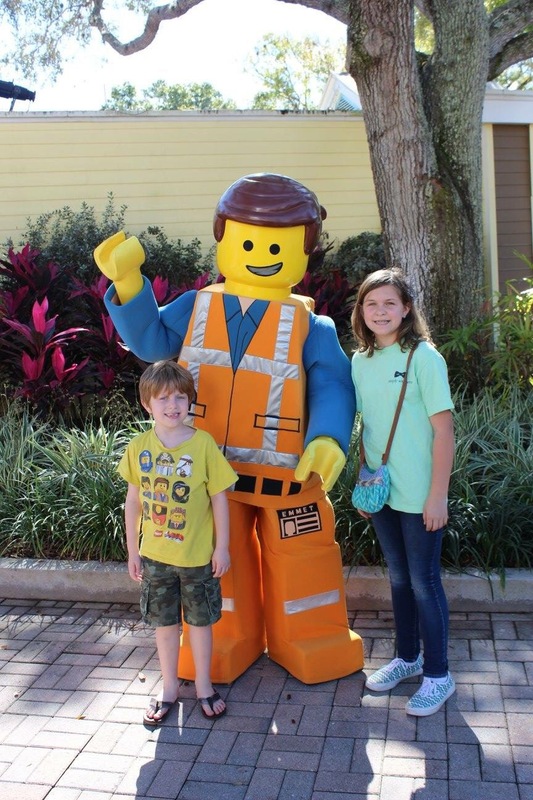 This entry was posted in Uncategorized and tagged florida, legoland, legos, tips, vacation. Bookmark the permalink.